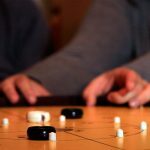 With the sheer amount of board games out there, it can be extremely difficult for someone new to the board game hobby to know where to start. What board game should I buy? You should start with gateway board games. The board games we have chosen in the list below are the best board games for beginners. Or you might already be a passionate board gamer, and you would like to share your passion with your non-gamer friends, or with member of you family to get them hooked into the hobby. Then gateway board games are what you need right now. What is a gateway board game? Gateway games are good starting games for neophyte’s gamers. 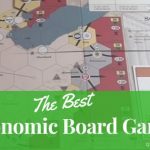 They are a good introduction to the board gaming world. Gateway board games are good for transitioning from mainstream board games we all grew up with like Monopoly or Cluedo, scrabble or Life to more complex type of board games. Rules: In some way, a gateway board games can be considered as simple board games. Good gateway games should be easy to play and easy to teach board games. Theme: The theme of a gateway board game is very important: It shouldn’t be a theme that is too complicated or geeky and should be adapted to the audience we are targeting here. It should be accessible by everyone, newbies, new gamers, kids, you name it. A good theme will allow the players to immerse themselves into the game. Of course, the quality of the components, the artwork, the balance of the gameplay and the game mechanisms are also very important, but a good theme will make beginner players want to come back for another game. Components: If you choose a board game with great components and a nice-looking artwork, you are more likely to impress the players you are going to play with. So yes, the quality of the components is important. Replay ability: gateway board games need to have a high replay ability. You want to entice people to come back for more. Player interaction: Interaction between players should be high in a gateway board game to emphasis on the social aspect of board gaming. Interaction between players can create tension in the game that can be fun, or can take the form of competition between players. Whatever it is, interaction really make the games better. We have tried in our list to group the games in various categories of gateway board games. Of course, some board games could be part of more than one categories but it is just a quick and straightforward way to group them together. October 2, 1900 – it’s 28 years to the day that noted London eccentric, Phileas Fogg accepted and then won a bet that he could travel “Around the World in 80 Days.” Now, at the dawn of the century, some old friends have gathered to celebrate Fogg’s impetuous and lucrative gamble – and to propose a new wager of their own. The stakes: $1 million in a winner-takes-all competition. The objective: to see the most cities in North America – in just 7 days. Ticket to Ride was first released in 2004 and has become such a classic family board game and still remains after 13 years. The rules are easy to teach, the game is really easy to pick up, the components are excellent, the artwork beautifully. I love the train theme of the game and placing the train carriages on the routes as the game unfold. Ticket to ride is the perfect gateway board game to introduce players to games with secret objectives. Also, the players will need a good bit of planing ahead in order to win the game. Ticket to Ride can be enjoyed by 8 year old kids but there is enough strategy in the game to please adults.You get such a quick at planing ahead your routes while trying to prevent your opponents to get theirs. I think it is also a great game for kids to get to know about geography while having fun. They get to know where the major cities are located on the map. There is an different edition of ticket to Ride, Ticket To Ride Europe, and different expansion like Ticket to Ride United Kingdom or Ticket to Ride India, and many more. Each of those brings a different twist to the game. There is a lot of gateway board games, but Ticket to Ride is probably the ultimate gateway board game for me. Catan, also known as “The Settlers of Catan”, was release back in 1995. and won the Spiel des Jahres (1995 Game of the Year) that same year.Catan is another great family board game that can be enjoyed by kids and adults alike. For me Catan is one of the best gateway board game out there. The game is full of players interaction (specially during the negotiation phases), simple management, pinch of luck, beautiful material, well written the rules book. So yes, if there was a perfect candidate for the best gateway board game, Catan would be the one! Carcassonne is the famous tile placement board game that was released in 2000 and designed by Klaus-Jürgen Wrede. Carcassonne can be considered as one of the best board game for beginners. In Carcassonne, players must place on tile at the time in order to build road, cities, fields or cloisters. They then place a follower on fields, cities, roads or monasteries in order to score as many points as possible. These followers will become knights, monks, farmers and thieves, depending on where they are placed.This will continue until all the tiles are gone. You will end up with a board looking like a cool medieval world. No matter their function, the player who will most cleverly use their followers will win the game. Entirely redesigned and modernized, this edition includes two expansions: the river and the abbot. There is a lot of Carcassonne expansion , each one of them bring an interesting twist to the game. My favorite one being Carcassonne:Traders & Builders. Carcassonne is very easy to play, rules can be grasped in minutes. In each turns, players draw a random tile and place it down expanding the map. Players can place their meeples on a specific feature (road, city, cloister..) of the tile they just lay down, and when this feature is completed they will score points. Players will try to build the biggest cities to score more points, but also try to place tiles in a way that will make it difficult for their opponents to finish their own cities. In Carcassonne, the players draw tiles randomly, therefore possibilities are endless and the map will always be different.The replay-ability is very high, each game is different, and players will need to adopt a different strategy in each games. Carcassonne is definitely another classic gateway board game. Area control board games (also known as majority or influence board games), is a type of game where players score for having the most pieces in particular areas of the board. Small World is an excellent area control board game that I would recommend to use as a gateway board game. It is a good choice for people that love board games like RISK for example, and want to try to find something different. First of all I have to mention the quality of the content: all the little pieces, the real beautiful artwork and also the quality of the packing with very practical trays to hold everything. Second of all, the rules are pretty simple. You can get through them in about 15 to 20 minutes. The game will take you about 90 minutes to play or less. Small World is a board game that can be enjoyed by casual gamer, yet there is enough strategy in it to please more hard-core gamers. It definitely doesn’t rely as much on luck as RISK does. In Small Word, you can play with four different maps. The choice of the map will depends of the number of players in the game. (2 to 5 players). Players will select a Race (wizards, trolls, elves, giants etc…) with different abilities and power associated to it. This random choice of power and abilities combination makes the game very different each times. Again this is a game with high replay-ability. perfect for a gateway board game. Players will try to conquer territories but thanks to some race special abilities like flying, you won’t need to always conquer adjacent territories. Also, if your chosen race is in trouble during the game, you can put it in decline and give it up for another race. Again this makes Small World a very fun game that I would highly recommend to you if you want to introduce someone to the area control mechanic while keeping things simple. Ethnos was designed by Paolo Mori and released in 2017 and features some fantastic artworks from John Howe. In Ethnos, the players are trying to get the most points by controlling different lands. The lands of Ehtnos contain 12 ancient tribes and in each game, the players have to recruit 6 of those tribes cards, then create a deck with only the creatures in those tribes.Players will band them together, and play them to gain control of one of the six Kingdoms over the course of three ages. Each band can have a leader, and only the leaders can tap into their tribes special abilities. After three ages of political maneuvering and battles, peace between the six Kingdoms will be restored under a new ruler. Ehnos is really one of the best gateway board games of 2017.The rules can be learned in 15 minutes. I love the endless combination of mythical creatures the game offers, and the simple push your luck mechanics.Player strategy will be different depending of those random combination of races, interaction between players is high throughout the entire game and there are very few downtime. Ehtnos is a definite hit of 2017:highly entertaining but also is easy to play. Can be enjoyed as a gateway board game by beginner players but also by more competitive players as well. Hotshots is cooperative press-your luck wildfire fighting board game release in 2017. In Hotshots, players take the role of a crew member with a special ability and try to stop the fire spreading on the board. The board is completely modular and made up of tiles that you can place randomly.You also have some suggested board shapes inspired by different national park like Yellow stone, Grand Teton or Denali that you can use. Players roll dice (yahtzee style) on burning terrain tiles to match the combinations shown on the tiles. The more faces you roll, the better you’ll fight the fire. Cut Firebreaks, reduce Flames, generate Reward Tokens, and maneuver Vehicles to save the forest. Push your luck too far, and the fire grows. Add Flame tokens at the end of each player’s turn by the draw of a Fire card. Too many Flame tokens will Scorch a tile. If 8 tiles or the Fire Camp Scorches, the game is over and the forest is lost. But if the intrepid crew can extinguish the blaze, you win together. This new game is so existing with its quite unique them of wildfire fighting team. Hotspots is fun, tension can be high while fighting the flames and it can be challenging at times to do well against the fire spreading across the board. Pandemic is the 2009 Golden Geek Best Family Board Game Winner. It is probably the most popular co-operative board game around, with a lot of expansion available, my favorite one being Pandemic: On the brink. In Pandemic, everyone wins or no one does.Everyone works together in order to find the right strategy to crack the code.It is a great gateway board game to introduce cooperation with kids. Might suit if you feel that over competitiveness between players is an issue sometime when you play games in your family. Four diseases have broken out in the world and it is up to a team of specialists in various fields to find cures for these diseases before mankind is wiped out. Players must work together playing to their characters’ strengths and planning their strategy of eradication before the diseases overwhelm the world with ever-increasing outbreaks. For example the Operation Specialist can build research stations which are needed to find cures for the diseases. The Scientist needs only 4 cards of a particular disease to cure it instead of the normal 5. But the diseases are out breaking fast and time is running out: the team must try to stem the tide of infection in diseased areas while also towards cures. A truly cooperative game where you all win or you all lose. Pandemic is a truly cooperative game where you all win or you all lose. Flash Point: Fire Rescue is a fully cooperative game, everyone plays on the same firefighting team – win or lose together. Every turn is filled with the tension of having to fight the fire back rescuing victims or investigating points of interest. Players can ride the ambulance to safety or fire the engine’s deck gun in a desperate attempt to control the blaze. Flash Point: Fire Rescue works on an action-point allowance system. Players spend action-points during each turn to try to extinguish smoke/fire, move through the building carry victims out of the building etc…The goal of the game is to rescue 7 out of the 10 victims. Flash Point is a highly thematic board game. Great to get everyone working together towards saving person lives. The rules are very accessible and you can play this game with kids from 8 with the family rules. As you get use to the mechanic of the game, you can work towards the advance rules and eventually go for the expansion that will introduce further difficulties again. Flash Point is a great family game, very accessible even for kids, great to introduce teamwork to an audience of non-gamer. Forbidden Island is a cooperative game. Instead of winning by competing with each other your team of adventurers must work together to keep Forbidden Island from sinking, in order to buy enough time to capture its four treasures. Once you’ve captured them, you must make it to Fools’ Landing and escape by helicopter to win. If however, the island sinks before you can complete your tasks, the mission ends in defeat for all players. In Mice and Mystics players take on the roles of those still loyal to the king – but to escape the clutches of Vanestra, they have been turned into mice! Play as cunning field mice who must race through a castle now twenty times larger than before. The castle would be a dangerous place with Vanestra’s minions in control, but now countless other terrors also await heroes who are but the size of figs. Play as nimble Prince Collin and fence your way past your foes, or try Nez Bellows, the burly smith. Confound your foes as the wizened old mouse Maginos, or protect your companions as Tilda, the castle’s former healer. Every player will have a vital role in the quest to warn the king, and it will take careful planning to find Vanestra’s weakness and defeat her. Mice and Mystics is a cooperative adventure game in which the players work together to save an imperiled kingdom. They will face countless adversaries such as rats, cockroaches, and spiders, and of course the greatest of all horrors: the castle’s housecat, Brodie. Mice and Mystics is a boldly innovative game that thrusts players into an ever-changing, interactive environment, and features a rich storyline that the players help create as they play the game. The Cheese System allows players to hoard the crumbs of precious cheese they find on their journey, and use it to bolster their mice with grandiose new abilities and overcome seemingly insurmountable odds. Sushi Go is the hugely popular card drafting game released in 2013 where players have to grab the best combination of sushi dishes as they whiz by. Players will score points for making the most maki rolls or for collecting a full set of sashimi. Dip your favorite nigiri in wasabi to triple its value. But be sure to leave room for dessert or else you’ll eat into your score! Gather the most points and consider yourself the sushi master! Note that in 2016 was release d and expansion of the game called Sushi Go party!, where players still need to find the best combination of sushi dishes, but they can also customize each game by choosing à la carte from a menu of more than twenty delectable dishes. Sushi go is a great family card game, quick to play, suitable for all ages , from young kids and teenagers to adults and grandparents. Everyone has a chance to win in this game, which make it very attractive for the younger ones. The artwork on the card is very cute, and the theme is adorable. It is the perfect game to play during family gathering over christmas, light, quick and easy, it goes very well with a glas of mulled wine! Codenames was such a phenomenon when it was released in 2015. The teams compete to see who can make contact with all of their agents first. Spymasters give one-word clues that can point to multiple words on the table. Their teammates try to guess words of their color while avoiding those that belong to the opposing team. And everyone wants to avoid the assassin. The game works very well with 4 players if you prefer to guess without help. Or you can add more players if you prefer lively discussion. There is also a cooperative variant where a single team tries to achieve the highest score they can by playing against the game itself. In Codenames the goal is to find infiltrated spies. The atmosphere is one of suspicion and espionage. The rules are simple, you basically need to make your teammates discover words. Its very subtle and also very addictive and most of all, FUN. A good way to get non-gamers interested in playing. READ ALSO my list of Best Family Board games. In Cottage Garden, you compete in the art of gardening. You are working two beds with a variety of flowers. Whenever no unplanted box is visible on a bed, you have completed it, then you count your points and replace it with a fresh, unplanted bed. You gain points for all of the visible plant pots and planting bells. In the final stage, you have to give back points to finish all beds on which you were well advanced. In the end, the player with the most points wins. Each player is a traveler crossing the “East sea road”, one of the most magnificent roads of Japan. While traveling, players will meet people, taste fine meals, collect beautiful items, discover great panoramas and visit temples and wild places. At the end of the day, when everyone has arrived at the end of the road you’ll have to be the most initiated traveler – which means that you’ll have to be the one who discovered the most interesting and varied things. Downforce is a new racing card game released in 2017 based on Top Race, the award-winning design by the legendary Wolfgang Kramer. The publisher, Restoration Games, is working hard on bringing old games back, and I can tell you they did an amazing job with Downforce (originally called Top race). It is a fun game with a lot of biding, bluffing and racing of course! Players first bid to own the six cars in the race. Then, they play cards from their hand to speed them around the track. However, most cards will also move their opponents’ cars. So figuring out just the right time to play a card is the key to victory. Along the way, players will make secret bets on who they think will win the race. Whoever has the most money from their prize money, winning bets, and remaining bank wins the game. The components of the games are very well made, the artworks are fantastic and the board is very well laid-out. I love also the theme of the game. There aren’t a lot of racing board games around! The game is easy to teach, each turns play very fast. The game is very fun and will appeal to both experienced gamers and also families or new gamers. Definitely worth trying Downforce out ! Waterdeep, the City of Splendors—the most resplendent jewel in the Forgotten Realms, and a den of political intrigue and shady back-alley dealings. In this game, the players are powerful lords vying for control of this great city. Its treasures and resources are ripe for the taking, and that which cannot be gained through trickery and negotiation must be taken by force. Your decision to excavate the ancient city of Akrotiri has borne fruit. The temples you’ve discovered during your expeditions in the Aegean have increased your standing among your peers and made you a person of renown. But they’ve also drawn the attention of competition. Building on the sense of adventure established by it’s original release in 2014, the new edition of Akrotiri ups the stakes even further. Now up to four players can join the hunt for legendary temples with two copies of the game. Featuring updated rules and cards, only the most cunning explorer will gain enough fame to claim victory in this new edition of Akrotiri. Isle of Skye, one of the most beautiful places in the world: Soft sand beaches, gently sloping hills, impressive mountains: the landscape of Isle of Skye is breathtaking and fascinates everyone. In this tile-laying game 2 to 5 players are the chieftains of 5 famous clans. The players try to build their little kingdoms to score as many points as possible. But in each game only 4 of the 16 scoring cards will be scored. Each game is different and leads to different tactics and strategies. To have enough money is useful in all games: In each turn the players can buy a tile from another player. The seller determines the price, but to do it wisely is the most interesting part of this game: A high price will lead to wealth, if someone buys this tile, but if there’s no buyer, the seller will lose the money spend on this tile. And in the end the player with the best kingdom will become the sovereign of the island, not the richest player! Isle of Skye is a gateway game for the whole family. With a playing time around 45 minutes, a huge variability and easy rules it’s a perfect game for all players. The awesome illustrations by Klemens Franz brings all the atmosphere of the Scottish island on your table. Isle of Sky is more a tile placement game than an pure economic board game. Isle of Skye is a great alternative for people who like board game like Carcassonne or Catan but want something different.